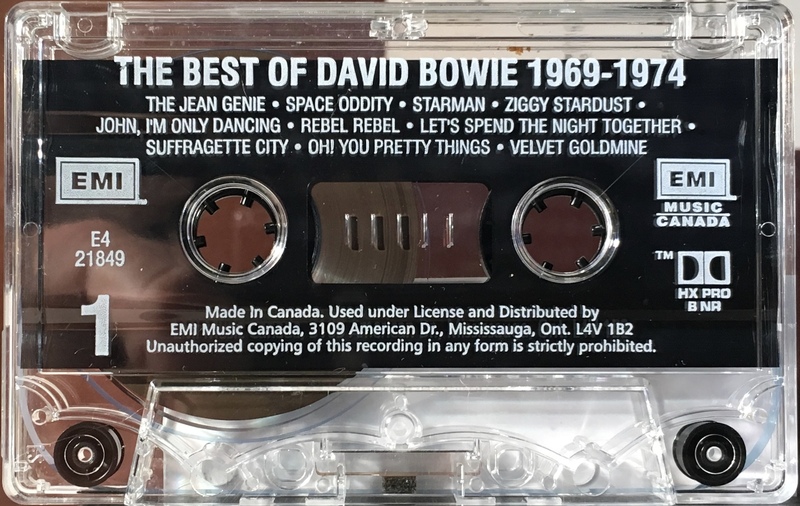 The Best Of Bowie (1969/ 1974): Canada; EMI, 7243 8 21849 4 2; 1997. White ink printed directly to clear shell with plain slip sheet. Information in English; ‘Made in Canada’, ‘Dolby HX Pro’ and ‘EMI Music Canada’ on shell. The track sequence is the same as the original CD. Side 1: The Jean Genie; Space Oddity; Starman; Ziggy Stardust; John I’m Only Dancing; Rebel Rebel; Let’s Spend The Night Together; Suffragette City; Oh You Pretty Things; Velvet Goldmine. 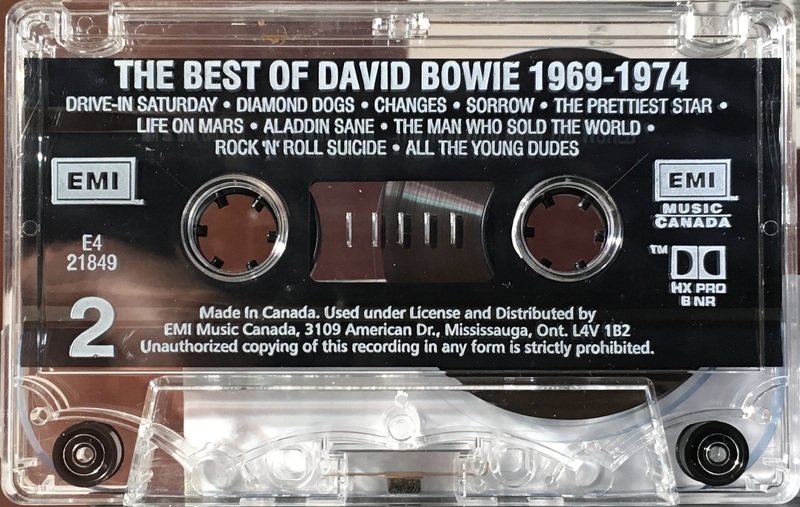 Side 2: Drive-in Saturday; Diamond Dogs; Changes; Sorrow; The Prettiest Star; Life On Mars? ; Aladdin Sane; The Man Who Sold The World; Rock ‘N’ Roll Suicide; All The Young Dudes.